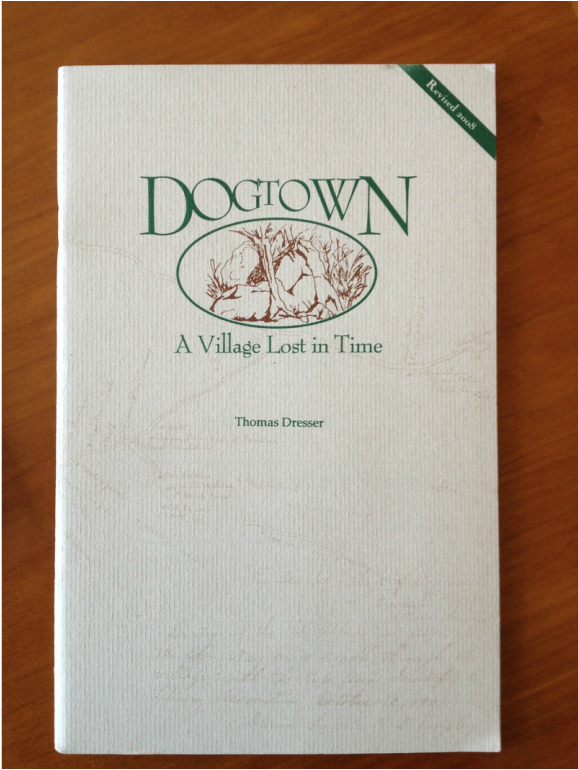 Dogtown : A Village Lost in Time : New edition available! This little booklet was written in 1995 when I found myself lost on Cape Ann, in Gloucester Massachusetts. It is now in its third edition, with more than five thousand copies in print. This updated version contains the map created by the Dogtown Advisory Committee, in 1985, and information on recent publications and activities in Dogtown. I'm pleased to announce the Dogtown booklet has been edited, revised and reprinted, as of May 22, 2013. This charming little booklet was first published in 1995; since then, more than 5,000 copies have been sold. This version includes a copy of the Dogtown Advisory Committee map, and with new information about Cape Ann, Dogtown : A Village Lost in Time, is better than ever. Purchase price is $10, which includes postage and handling. Complete contact form below. Dogtown is made up of some 3600 acres in Cape Ann, shared by Gloucester and Rockport, and retains remnants of a colonial settlement, with cellar holes and cart roads. It is a wondrous place to walk, to absorb the beauty of nature and appreciate natural charm. The revised version is now available as of May 22, 2013. The book has been edited, yet retains its original charm. The price remains an inexpensive $8.95, and may be ordered through the home page of this site. Available at Toad Hall in Rockport and The Bookstore in Gloucester, and many other shops in and around Cape Ann. Check out this latest version of an old stand-by. Dogtown : A Village Lost in Time. Available now for only $10 by mail from this site! Over one million people visit Cape Ann each year with more and more finding their way to Dogtown. The Cape Ann Chamber of Commerce’s tourist publications and visitor website highlight Cape Ann’s incredible natural beauty, but still contain only limited references to Dogtown. 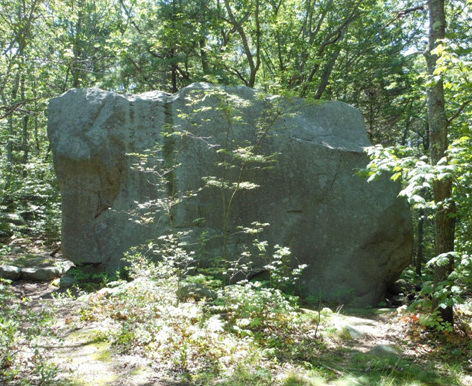 The answer, perhaps, lies in the history of this five square mile inland portion of our Cape - once home to some of the region’s original settlers, then abandoned and left desolate, considered a dangerous part of Gloucester to explore, and, finally, in the last quarter century, rediscovered by the City and its citizens as an asset to be preserved and protected, yet managed in a way that residents and visitors alike might enjoy its rugged beauty and feel the history in Dogtown’s boulders and abandoned cellar holes. The City has moved slowly in this regard, perhaps for fear that slapping the ‘tourist attraction’ label on Dogtown - with the prospect of rampant commercialism - could compromise the environmental integrity of the area. The way in which these concerns are addressed will determine the next chapter in Dogtown’s storied history. For Tom Dresser - and others who have found inspiration and solace in Dogtown - this is a story that cries to be told, and Tom has told it well. Environmentalists of all persuasions need to work together to make this stunningly attractive, though underappreciated, Cape Ann region more accessible to all. Help lead the way. Read Tom’s story, then pick up a Dogtown trail map and head off to Dogtown. Explore on your own or join one of the many guided walks now available, and experience the beauty and nature of Dogtown for yourself.